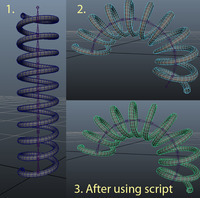 Analyze your Maya scene, modify scene without opening Maya. Fix your broken or crashing scene. 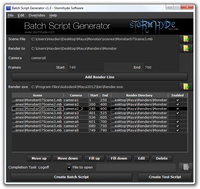 Provides a user friendly interface to create batch files for rendering multiple Maya scenes. 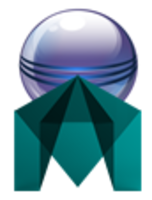 Report file and folder sizes in C-drive -- lean and open! 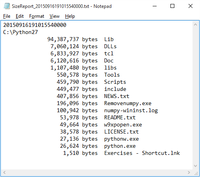 Report sizes in a folder -- lean and open! 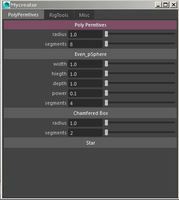 Node diff highligher for ma(Maya Ascii) files. 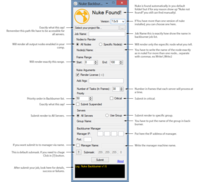 This is a program(script) I made for send Nuke Comp files to Autodesk Backburner. Queue up multiple After Effects Projects to render.